Broadband MP4 lyons_bb.mp4 (17.5MB), suitable for iPods and computer downloads. 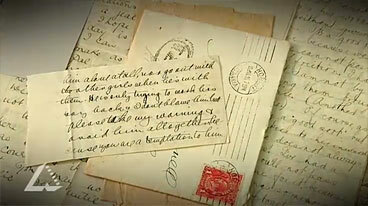 Joseph Lyons’ Love Letters is an episode from the series The Prime Ministers’ National Treasures, produced in 2007. Lyons was a trusted figure. He and his adored wife and confidante, Enid, presented a genuine picture of domestic harmony and security to the Australian public despite the many separations they endured as he commuted from the family home in Tasmania to the Australian capital. They had 12 children together. Politics rarely produces impassioned romantics, which is just what makes the hundreds of letters Joseph Lyons wrote to Enid as fascinating as they are unexpected. He died in office and Enid went on to become the first female member of the Federal House of Representatives and the first woman in Federal Cabinet.